How much screen time is too much screen time? When does a simple time of playing a game suddenly start to take over and become a full blown addiction? 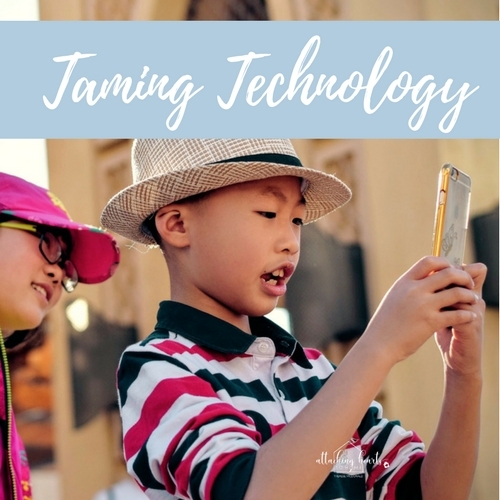 When it comes to screen time and tech addiction, there are four major areas of a person’s life that are impacted – behavioural, psychological, relational, and physical. Today, allow me to spotlight the relational symptoms. The addicted individual wants less and spends less time with family and friends. By this I mean that they would rather spend their time in a virtual or remote world than face to face with those in their presence. They are resentful of interruptions or invitations that disturb their screen time. A game-obsessed person declines social invitations so they can continue playing video games instead. They lie to others about how much time they spend online or on devices. Time spent with virtual pals goes up. There are frequent conflicts with family and friends over screen time. Arguments and tension shows forth daily, with lots of anger expressed, directed mainly toward those closest and most interested in the addicted person’s welfare. The addicted person blames others for problems caused by excessive use of the Internet, gaming, chatting/messaging/texting. They deny they have a problem that is obvious to others. They waste great amounts of time without awareness, stealing from the relationship of others. The addict breaks promises, commitments to stop excessive use of devices. They hide their usage, often sneaking and finding ways to feed their addiction. They lose the trust of those that love them. Addiction breaks hearts, breaks up friendships, and can destroy family life. Nobody is stuck though. Relationships can be healed. I love helping make that happen. Download my handy guide for helping you start the journey to taming technology in your home. If you find you need further support, I offer mine with one on one sessions for practical support. You aren’t alone. And attachments to screens can be broken and re-established as attachments in relationships with the family. Therese has helped countless families unplug to move past tech addiction AND learn to re-connect as a family.